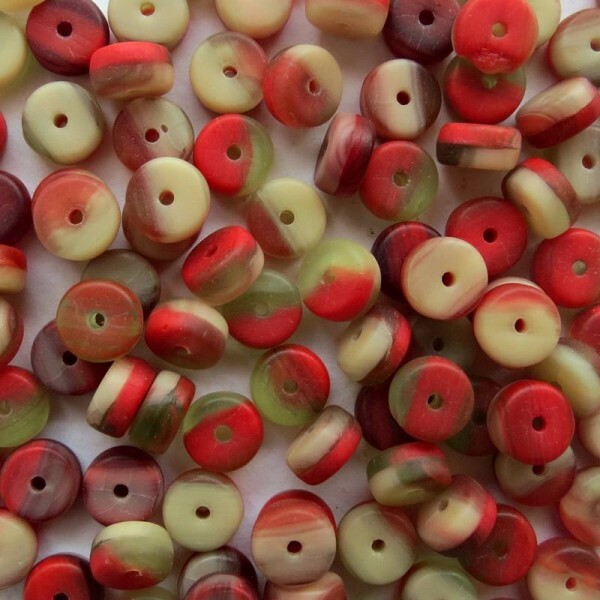 Czech Glass Wheel Beads, Matte Marbled Red, 6mm, 60 pcs. 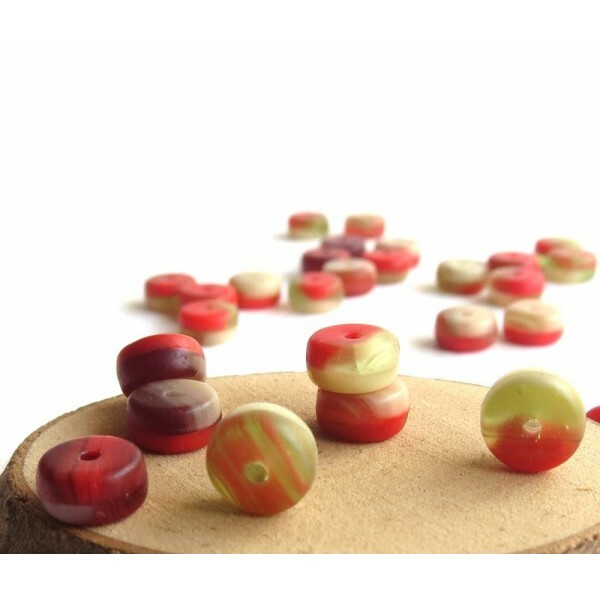 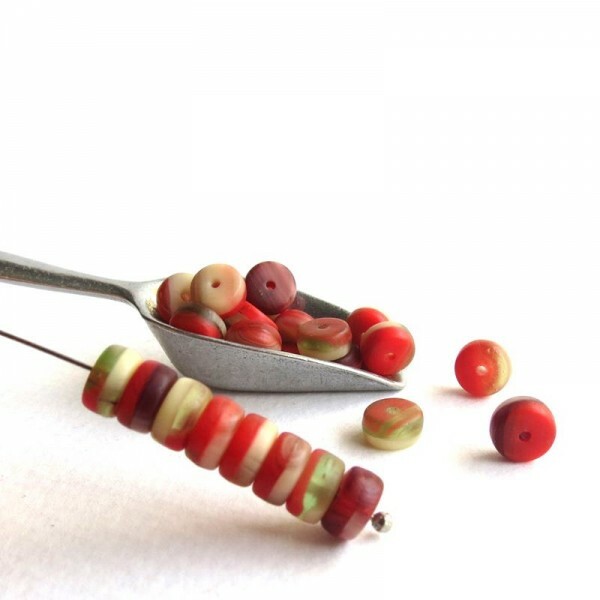 > Pressed beads>Fantasy>Czech Glass Wheel Beads, Matte Marbled Red, 6mm, 60 pcs. 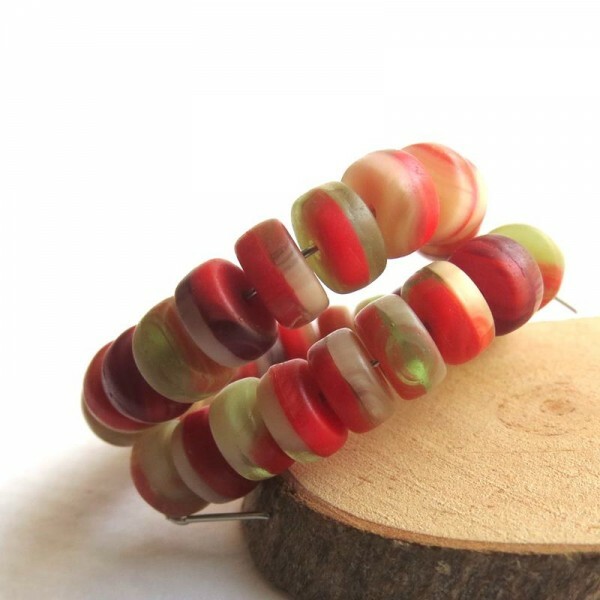 Color - matte marbled red, olive green, topaz brown and beige. There are 60 pcs in 1 pack.